Last week I did a session at the Audit Commission (yes, despite Mr Pickles best efforts they are still there, just). The subject was “Fuzzy Performance” and I outlined to about 40 expert staff why I and some colleagues are exploring using “fuzzy-set comparative case” analysis to explore issues of performance in public organisations. I should explain that “fuzzy” here absolutely does not mean unrigorous or sloppy or anything like that – quite the opposite: fuzzy-set technology is widespread – your washing machine or fridge, if it’s new enough, probably has some fuzzy-set based controls on a chip in it somewhere. In social science Charles Ragin has spent 20 years or more developing a rigorous application of set theory, and most recently fuzzy set theory, to exploring complex causal relationships and finding a way of teasing out the configurations that lead to specific outcomes. He and colleagues have developed various methods and software which go under the generic title of “Qualitative Comparative Analysis” or QCA. Philipp Krause’s excellent analysis of developments in executive control of public spending. Research on public management has been dominated for many years by two radically different approaches that are usually seen as mutually exclusive – ontologically, epistemologically and methodologically. On the one had there has been a great deal of qualitative case-study work, including usually fairly small-n case comparisons. On the other, there has been a lot of quantitative analysis of large-n data sets. Both approaches have produced useful work and major problems – the former often reach conclusions that are difficult to generalise whilst the latter often produce precise but weak conclusions. Proponents of both approaches have often engaged in somewhat futile debates about their relative merits. An alternative approach using systematic comparison of small to medium-n cases using ‘Qualitative Comparative Analysis’ (QCA) – has been gaining ground in recent years – mostly in political science (e.g. comparative politics, democratic systems, etc) and historical sociology (e.g. welfare state studies) (Rihoux and Ragin 2009). But it has made smaller, but still significant, contributions in public policy and management (e.g. 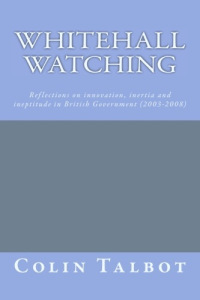 Peters 1997; Kitchener, Beynon et al. 2002; Krause 2009; Rizova 2011). The purpose of this panel is to assess the contribution so far, and future prospects, of the broad QCA approach in public management. The approach appears to offer many advantages in the analysis of complex causal configurations. It perhaps also can be used to take advantage to the large number of data sets that have emerged about public administration and management in recent tears, both within and between countries, as a result of the ‘performance movement’ (Radin 2006; Talbot 2010). Papers are welcomed that either apply the QCA approach (with an emphasis of the contribution of the approach) or take a broader view of the methodological issues posed by QCA for public management research (including reflections on previously published research). Kitchener, M., M. Beynon, et al. (2002). “Qualitative Comparative Analysis and Public Services Research – lessons from an early application.” Public Management Review 4(4): 485-504. Krause, P. (2009). A Leaner, Meaner Guardian? A qualitative comparative analysis of executive control over spending. Discussion Paper, Deutsches Institut fur Entwicklungspolitik (German Development Institute). Peters, G. B. (1997). “Policy Transfers between governments: the case of administrative reform.” West European Politics 20(4): 71-88. Radin, B. (2006). Challenging the Performance Movement: Accountability, Complexity, And Democratic Values, Georgetown Univ Pr. Rihoux, B. and C. C. Ragin, Eds. (2009). Configurational Comparative Methods – Qualitative Comparative Analysis (QCA) and Related Techniques. Applied Social Research Methods Series, Sage. Rizova, P. (2011). “Finding testable Causal Mechanisms to Address Critical Public Management Issues.” Journal of Comparative Policy Anlysis 13(1): 105-114. QCA is used here to denote the general approach rather than detailed or specific techniques.